Whether choosing a doctor, knowing what medications to take or planning a meal, people make health decisions every day. These choices can have significant and long-term impact on a person’s health. That’s why health literacy – the skills and capabilities needed to understand basic health information and the impact these choices have on one’s own health and available treatments – is critical to building a strong foundation for good health. Nearly 36 percent of adults in the U.S. struggle to understand basic information about their health and the healthcare services available to them. And when it comes to understanding health insurance, a recent survey found that only four percent of those polled can explain basic insurance terms such as deductible, co-pay, coinsurance and out-of-pocket maximum. Lacking the skills needed to understand and apply health data, communicate with clinicians or locate credible health information can have a wide-ranging – and negative – impact on how a person approaches caring for their health. 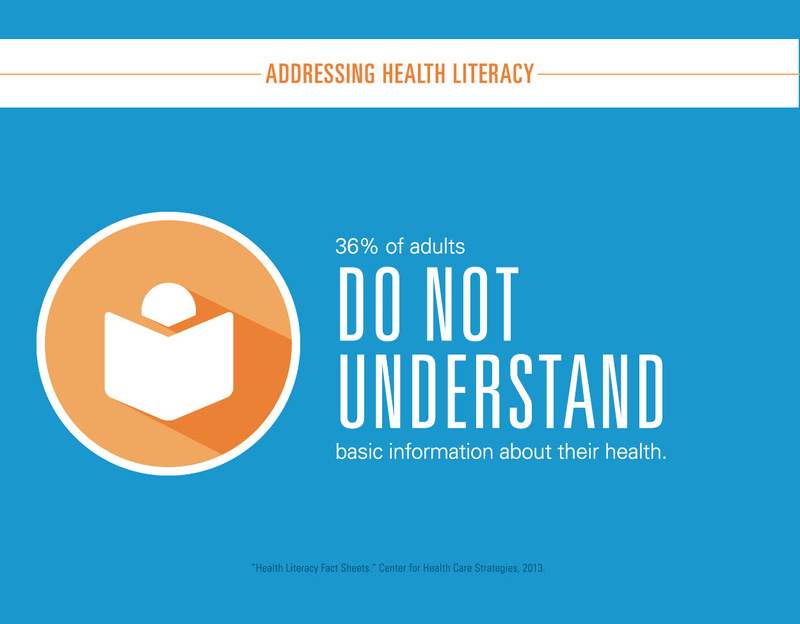 How does health literacy impact our overall health? People with limited or low health literacy skills such as reading, calculating, communicating verbally and critically analyzing information are less likely to understand medical terms, labels and instructions. The consequences can be far-reaching and costly. For instance, the inability to read or properly calculate the dosages on a pill bottle leads to a greater likelihood of taking medications incorrectly, which can prompt a visit to the emergency room. Likewise, those facing cancer may not choose the best possible treatments if they do not properly understand their diagnosis and treatment options, while diabetics who do not recognize the role that good nutrition plays in maintaining acceptable sugar levels could experience higher rates of retinopathy or damage to the eyes. Who is most effected by limited health literacy? Ethnic minorities, the elderly, immigrants and low-income individuals and families in particular face a number of challenges to understanding their healthcare choices, including a lack of educational opportunities and cognitive decline as well as cultural and language barriers. In fact, those with limited proficiency in English report poor health status at twice the rate as English-speaking populations. And as one study found, this disparity is even more prevalent among Spanish-speaking patients, with 74 percent having less-than-adequate health literacy compared to 7 percent of English-speaking patients. As a result, these vulnerable populations are at an increased risk of poor health outcomes and tend to utilize higher-cost emergency room services and be admitted to the hospital at a higher rate. 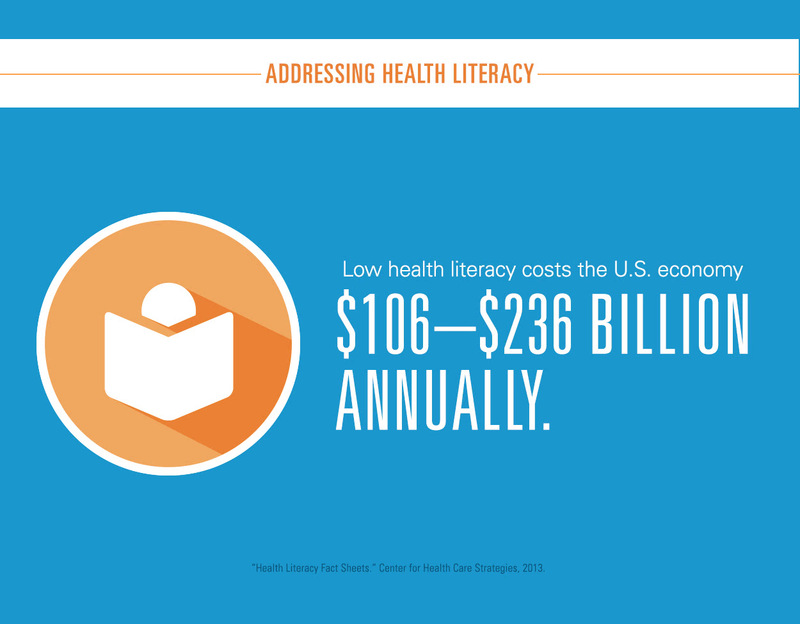 According to the latest data, it is estimated that the overall annual cost of low health literacy to the U.S. economy is between $106 and $236 billion. And a recent study of veterans’ medical data from 2007-2009 found that the estimated cost of care for veterans with marginal and inadequate health literacy was $143 million more than those with adequate health literacy. How do we address lack of health literacy? The U.S. Department of Health and Human Services (HHS) has identified health literacy as a key public health problem and outlined steps that that can be taken to increase health literacy in its National Action Plan to Improve Health Literacy. The Agency for Healthcare Research and Quality has produced a toolkit for primary care physicians detailing ways to simplify communications with patients. 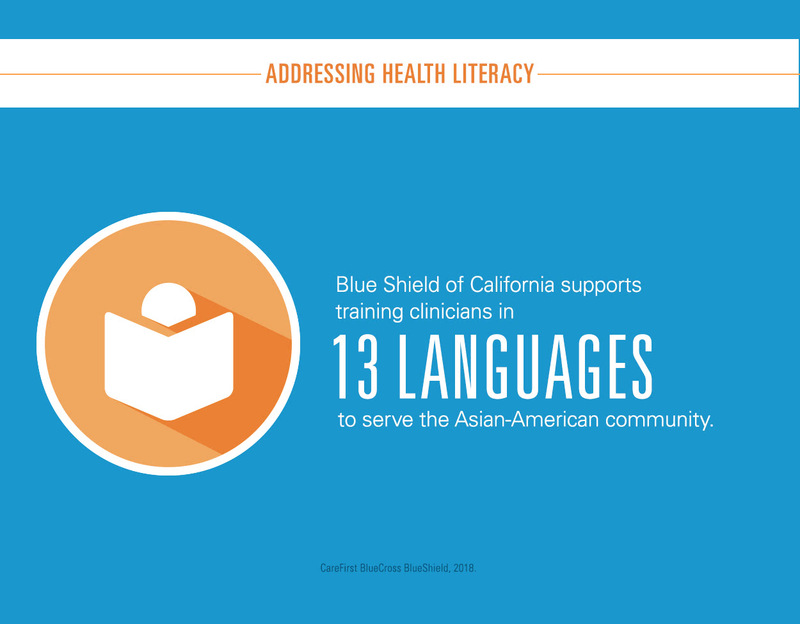 Meanwhile, Blue Cross and Blue Shield companies are partnering with community organizations to help break through health literacy barriers, empowering people to make better healthcare choices. 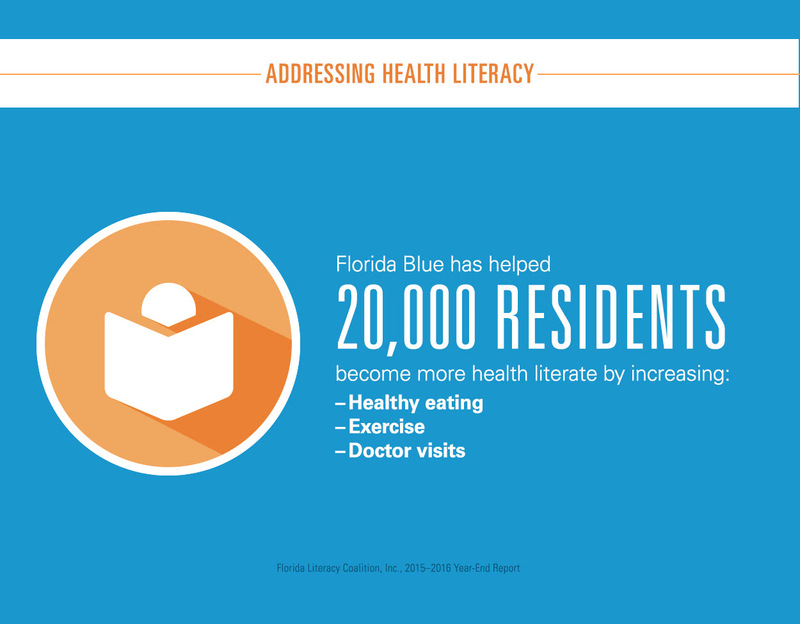 For instance, through its partnership with the Florida Health Literacy Initiative, Florida Blue has helped nearly 20,000 residents from around the state learn how to read food and prescription labels, plan healthy meals on a budget and understand the benefits of exercise and regularly visiting their doctor for check-ups. In 2016, 69 percent of people enrolled in their programs saw an improvement in health literacy knowledge with 57 percent reporting they had changed their eating habits, 52 percent reporting they had begun to exercise regularly and 40 percent visited a doctor. 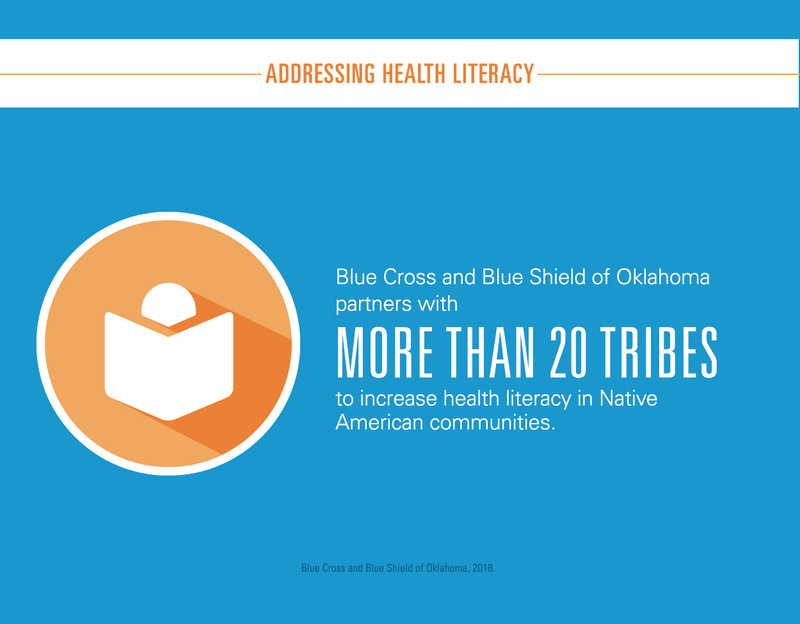 Advancing health literacy to Native Americans in Oklahoma, Blue Cross and Blue Shield of Oklahoma’s Tribal Relation Workgroup meets regularly to share best practices, foster collaboration and identify opportunities for outreach to the Native American communities within the state. BCBS of Oklahoma also partners with more than 20 Tribes and tribal organizations through the Mobile Assistance Center, taking health and wellness services directly into the communities through health fairs, festivals and enrollment events. 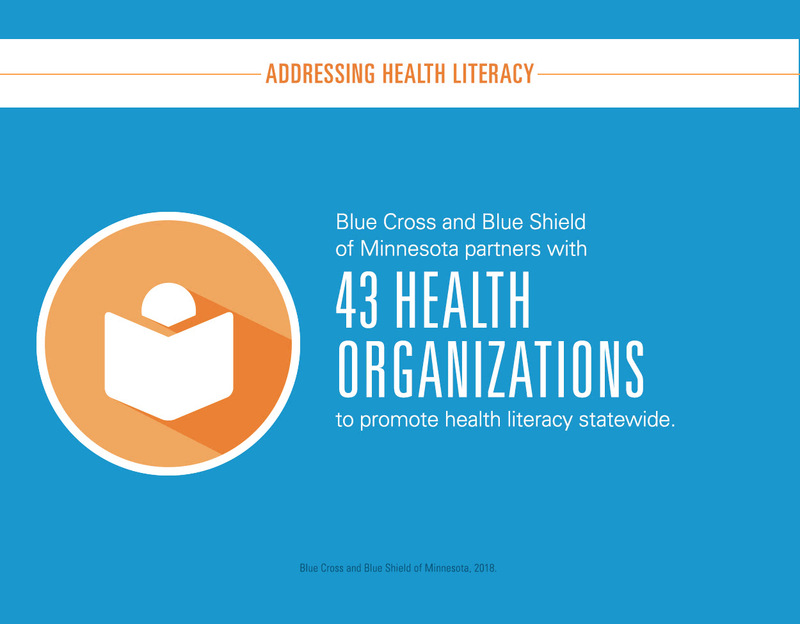 And in 2006, Blue Cross and Blue Shield of Minnesota was a founding member of, and continues to lead, the Minnesota Health Literacy Partnership, a coalition of 43 healthcare organizations and consumers committed to increasing health literacy across the state. As part of this effort, the coalition launched the Minnesota Action Plan to Improve Health Literacy. Modeled after the HHS’ National Action Plan, it identifies priorities to improve health literacy and serves as a tool for organizations to align their efforts with that goal.